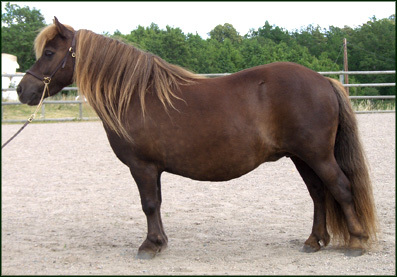 Muzette is by Furunäs Sahib RS 243, Champion Stallion and reserve Best in Show with 42 p, and out of Super-SUCH Furunäs Gazette RS 3983, a Champion Mare and double Best in Show winner with 44 p! 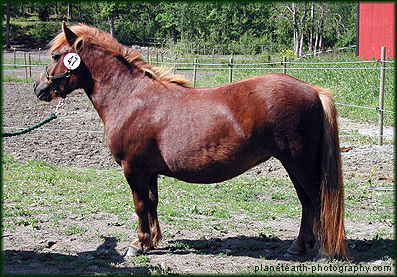 Muzette is a very successful mare who has won gold at every horse show she has participated in! 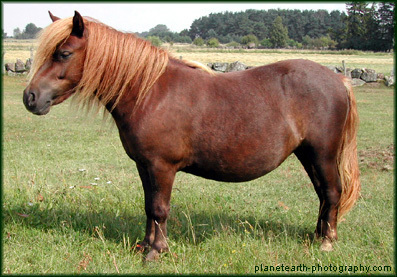 At the age of 1 and 2, she won her class in four out of five horse shows. In the summer of 2003 Muzette qualified for a Diploma. 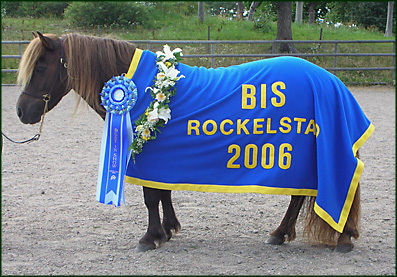 In 2006, Muzette became Champion Mare and Best in Show (BIS) with 43 p and in 2009 she was awarded Swedish Show Champion (SUCH). 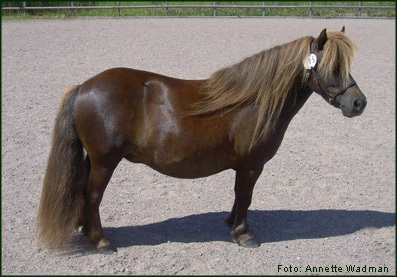 10 years later, in the summer of 2016, Muzette repeated the achievment and became Champion Mare and Best in Show again, this time at the age of 16. Just like 10 years ago she was awarded 43 p and with this result she has now qualified for Super-SUCH! 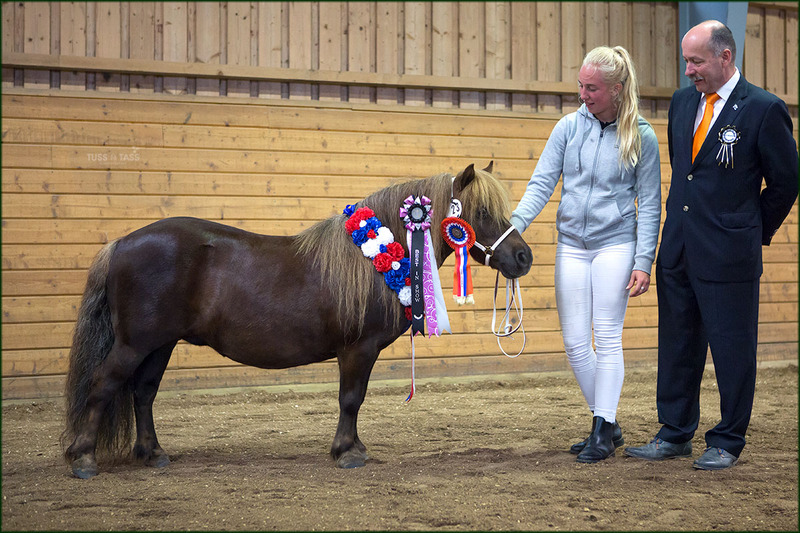 In addition, she was awarded Best Veteran, Best Movements and Best Swedish bred Pony. 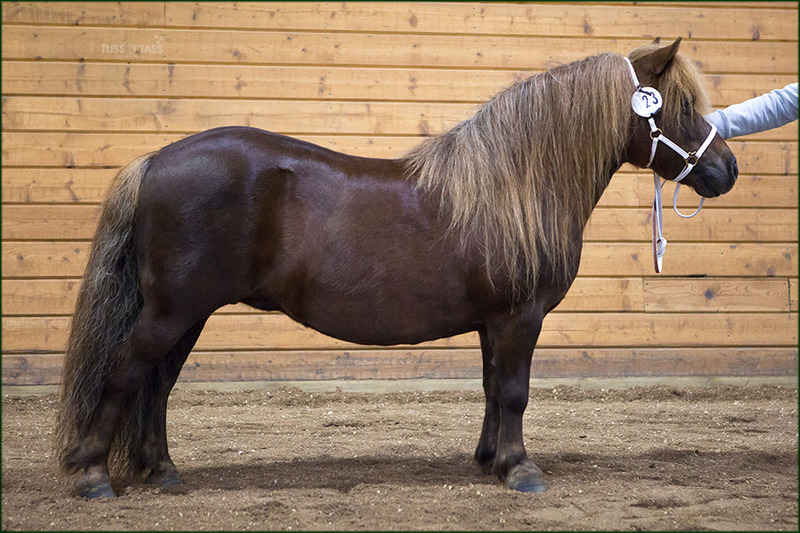 During the summer of 2018, Muzette has been covered by the fantastic stallion Almnäs Tromb RS 585 and we look forward to a nice foal next summer. Muzette is the obvious leader in the flock. Calmly and wisely she brings the "family" out to the field for grazing or back home for water. 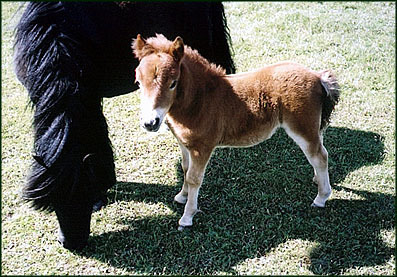 Despite her small size she is a big authority with firm opinions. 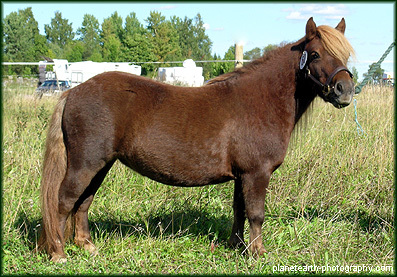 For instance, she considers that spray in the mane and tail is quite unnecessary. Luckily enough she is always reasonable. Date Location Judge Points Pos.